Such begins the entanglement of the Demases and Gato, a sometimes-homeless, always living by his wits, Cuban immigrant. George finds out why Gato was declared dead and gets his check reinstated. Alexia suggests Gato stay in their home until he receives his back pay; George begins receiving his monthly check, paying his rent, trying to get his ID. Gato says he is an army veteran and US citizen, yet both claims are difficult to prove. Is he a refugee of the Castro regime, or an “undesirable” released to the US during an early ’80s boatlift? In their search for truth, the Demases discover how entwined their lives are with this wily, down-but-not-out character. Like many people of our time, Steve Cole has reinvented himself more than a few times. Until he retired in early 2014, he had been a database developer and data architect in the health care industry. As a young man, after quitting college, he worked in factories, on the docks of Milwaukee, and in communities in Milwaukee and Chicago as a community advocate and political activist. From 1976–1986, Steve wrote articles for a community magazine, Keep Strong, and a biweekly newspaper, All Chicago City News. 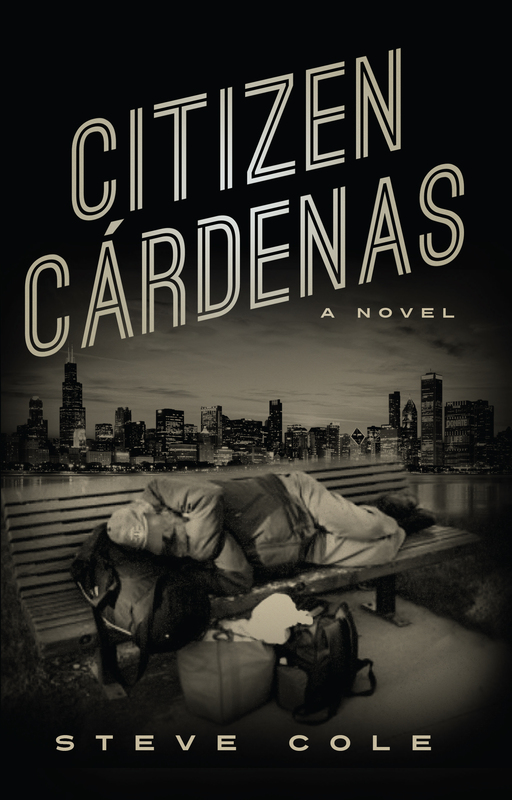 Steve starting writing Citizen Cárdenas in earnest in 2007, encouraged by a writers group he joined. He wrote many chapters of his story while riding on Chicago's Blue Line "L" to and from his job in Rosemont, Illinois. Steve and his family have lived in their Chicago three-flat for 30 years. They travel frequently to Greece to visit relatives and have made learning Greek a family project. They are also active in St. Basil Greek Orthodox Church and, in particular, its prison ministry.